Storm King's Thunder: Nightstone Map Pack contain 3 types of Nightstone's Village Map, for the introductory adventure of CHAPTER 1: A GREAT UPHEAVAL. An option without a grid, with grid and a DM Version. All 3 maps were made for 43x58 squares. Update 01/03/17: I add a new pack of 10 maps of Nightstone's Buildings, for the introductory adventure of CHAPTER 1: A GREAT UPHEAVAL. An option without grid for the Temple, Stable House (Barn and Hayloft), Watchtowers (generic), Trading Post, Nightstone Inn (Ground and First Floor) and The Nandar Keep (Ground and First Floor). Update 09/05/18: I add two new maps for the pack. These new maps are the Nightstone maps with two options: 5ftgrid and no grid, with low resolution for better use at roll20 and other Virtual Table Top. I maintained the high-resolution maps either. This map pack is compacted in a .rar file. To extract the images from the file you should use WinRar or WinZip programs (not included, but free to use and to download on the web). 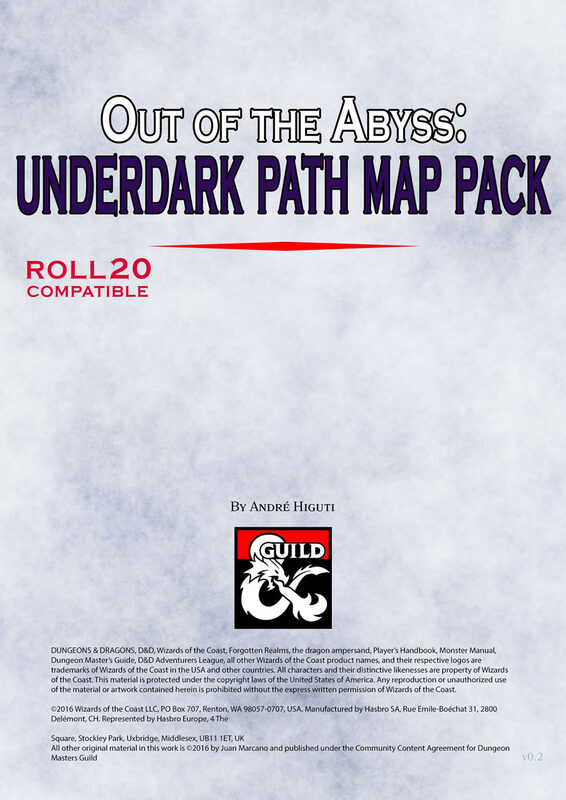 This is a map pack that you can use for Virtual Table Top RPG, like Roll20, Fantasy Grounds or other you may prefer. If you liked, consider please come back and make a review and a rating of this product. This will help me to know if you guys are enjoying it! Thank you. I'm going to give these maps a low rating ... I have no idea if they're beautiful or not. (1) The are delivered as a .rar file. First off, that's not a common compression format so lots of users are going to have to go find some decompression program for it to install. Bad user experience. Secondly, .rar is a lossless compression format. It is *silly* to use it to compress files which are themselves stored in a lossy compression format, i.e., jpg. The fact that it's providing significant compression says that the jpg files could have been greatly reduced in size without any noticeable loss of quality to the human eye. (2) The documentation says the files are in a format usable by Fantasy Grounds or Roll20. I don't know about FG, but THIS IS NOT TRUE for Roll20, because the map sizes of 17M far exceed the 5M permitted by Roll20. So now I have to go to a lot of extra work to get these into my dungeon. same problem.. how the hell do i use these..? So. Sorry about the delay to answer your questions. It's sad that you had these problems to use. There is a lot of programs on the web to descompress the file and free to use. WinRar or WinZip. It's very simple to use then. You can find some tutorials on the youtube if you search. There is not a lot of extra work, you just simple use Gimp or other programs to resize the resolution of the image. If you use Roll20, you already had to do something like that. But I already upload a low resolution image for make you life easier tho. 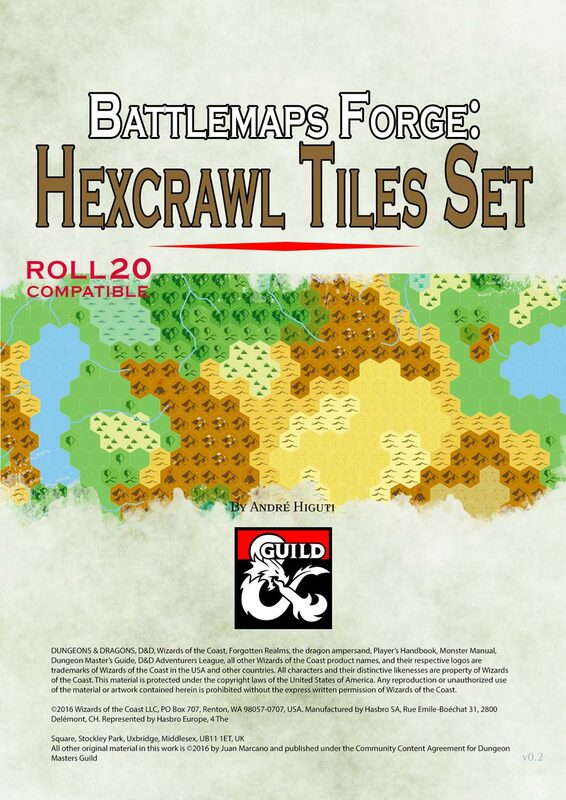 To use these files at Roll20, you need to open a new map with 88x116 squares. And then, upload the image. You can use the 5ft grid map or nogrid map. Both should work if you set the squares like I said before. A low resolution preview would be nice. Downloaded as a .rar file, but I'm not sure what to do with that. Extract it? With what? Yes. This file was compressed. You need some softwares that extract that type of file, like winrar or winzip. Let me know if it works! I bought these maps, and would like to print them out using just a normal printer. Then do the trim and tape method to make the full map. What application do folks use to print? I'm on a Windows OS machine. Paint? Browser? Windows photo viewer? Something else? I have seen in these discussions to blow the image up to 400%, oc 220cm X 290cm. Sorry about to not give you a proper answer in time (I was travelling), but I'm glad that you solved the problem anyway. Thank you for your comment! 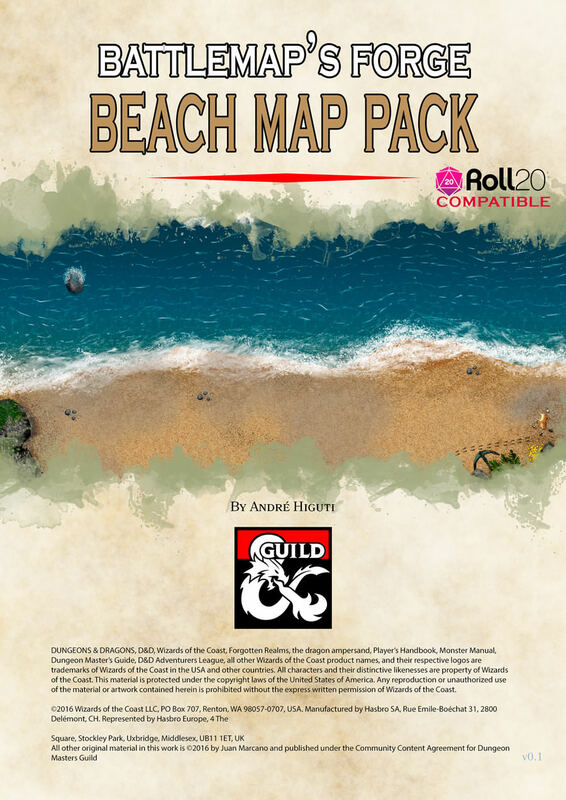 How can I use it in roll20 with it is in pdf format ? Thiago. You can extract the image from pdf file. I prefer to use http://www.pdfaid.com/, select option to extract the imagens. It will work perfectly! You should consider putting these into a single product. It makes little sense to separate these as it makes each file less valuable from a PWYW perspective. Thank you for your advice! It helped me a lot! Andre If I were to print this in a plotter would it come out 18x24 like it says? I did it in poster format and blew it up 400%. Made it perfect for miniature scale. Scissors, tape, and a big piece of cardboard and Nightstone came alive. how did you do it? I was trying to get the scaling right last night, but kept failing. I have plotters at work and wanted to print it out then laminate it. Did you just take the original file and up it by 400%? Chris T, sadly this jpg isn't perfect for a good quality printing, but if you want to print anyway, I suggest you to use "02 Nightstone 3010x4060 43x58 JPG v01 grid5feet.jpg", resize for 220cm x 290cm, this mesure match perfect where each square will be with 2,5cm. But you may have problems with the resolution... if you don't mind. Print and please, keep me posted with your experiences with it! Oh sorry, I mean page 3, the second map, because it has grids on it. But I'm sure that will work for all those maps in this pack! I did it with the gridded map at 400% and it came out just about perfect. I set it as poster in the settings then blew it up. I used the 2nd one for mine and it looked beautiful. Look for me on Facebook Rocky Franklin I have pics of how it turned out. Andre, would you happen to have an un-damaged Nightstone map? My players are going to end up making it a permanent base of operations and and undamaged or rebuilt map would be awesome. Rocky, I don't have an un-damaged Nightstone map, but it is easy to do it. Until this weekend I will re-upload this file with this new map. Thank you for your comment! Thank you very much. I would also love to see you do some encounter maps for the town adventures: Goldenfields, Triboar, and Bryn Shander. I would definitely buy them. I did a rating for you on this and when I have time I will do a lengthy review also. If I could post pics I would. I will do that soon as I can! I will wait for your review! Andre, have you had a chance to update that map? I'm sorry Rocky. I didn't do yet. But I hope I get some free time at this weekend... but I not forget! Amazing. I would've paid for this and I'd gladly pay for many of the other maps that are missing from this module and unavailable from the artists. I'd absolutely love one for all of the other maps found in Storm King's Thunder! So, It won't let me Rate it with out buying it but its $0.00. All I can say is that its awesome. I would have paid for this. This title was added to our catalog on September 24, 2016.